When 8 year old Kirsty Vanderkamp finds a hidden world in the nooks and crannies of her house — dust bunny farmers under the bed, a burlesque show in the butter compartment, a tabloid published in the china cabinet — she also finds herself caught up the wake of Aura Rotter, an ambitious social climber working her way up the rungs of society, and the lovelorn Iota Potts, a farmboy who risks everything that ever mattered to him to win Aura’s heart. Kirsty travels from the depths of the drains to the heights of the lighting fixture as she tries to make sense of this miniature world — and her own. This first play by acclaimed monologuist Mike Daisey (21 Dog Years, Monopoly!, How Theater Failed America) weaves a vision of the brutal history of the Soviet space program with an unbelievable premise: a dead cosmonaut is called back down to Earth on a radio wave when Americans in a remote Arctic base hear the beating of his dying heart. A dark and hilarious fairy tale set against the Cold War, it asks what we risk in the struggle between will and humanity, and what it means to love beyond death itself. 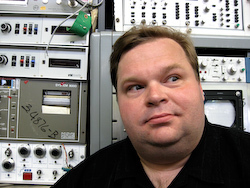 Playwright Mike Daisey has been called “the master storyteller” and “one of the finest solo performers of his generation” by the New York Times for his groundbreaking monologues which weave together autobiography, gonzo journalism, and unscripted performance to tell hilarious and heartbreaking stories that cut to the bone, exposing secret histories and unexpected connections. His monologues, fourteen and counting, include the controversial How Theater Failed America, the six-hour epic Great Men of Genius, the unrepeatable series All Stories Are Fiction, and the international sensation 21 Dog Years. Over the past decade he has performed his unique extemporaneous monologues at venues such as the Public Theater, American Repertory Theatre, the Spoleto Festival, Berkeley Repertory Theatre, the Cherry Lane Theatre, Yale Repertory Theater, the Noorderzon Festival, the T:BA Festival, Performance Space 122, and many more. He’s been a guest on the Late Show with David Letterman, a commentator for PRI’s Studio 360 and NPR’s Day To Day, a contributor to WIRED, Slate and Salon, a web contributor to Vanity Fair and Radar Magazine, and his work has been heard on the BBC, NPR, and the National Lampoon Comedy Hour. His first film, Layover, is being distributed by Lars von Trier’s company Zentropa, and he stars in the Lawrence Krauser feature Horrible Child. His first book, 21 Dog Years: A Cubedweller’s Tale, was published by the Free Press and he is working on a second book, Great Men of Genius, adapted from his monologues about genius and megalomania in the lives of Bertolt Brecht, P.T. Barnum, Nikola Tesla, and L. Ron Hubbard. He has been the recipient of the Bay Area Critics Circle Award, two Seattle Times Footlight Awards, and a MacDowell Fellowship. He lives in New York City with his director and collaborator, Jean-Michele Gregory. The Moon Is A Dead World is his first play. AFTRA Seattle Local, Cicada Bridal, Ron Darling, John DeShazo, A.J. Epstein, The Ethereal Mutt, Ltd., David Gassner, Teri Lazzara, Theater Schmeater, Frederick Vegas. 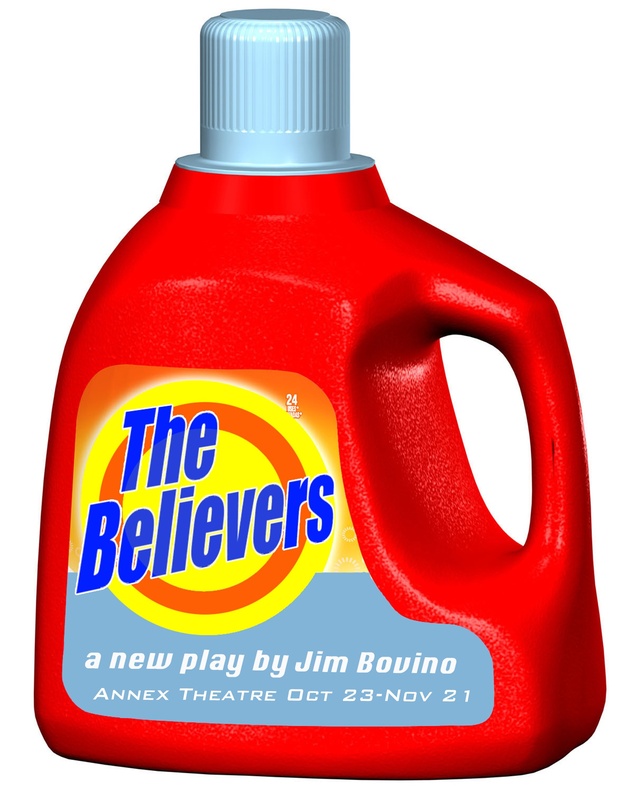 Annex Theatre wishes to acknowledge the generous contributions of 4Culture, The Flintridge Foundation, Microsoft Corporation, The Seattle Foundation, The Boeing Company, ActiveMac, and the Mayor’s Office of Arts and Cultural Affairs for their support of this production.